Back in November David Moyes took over from Slaven Bilic, set with a task to keep us in the Premier League and turn around our fortunes. Premier League status has not yet been confirmed, but a win against Stoke on Monday evening will certainly make things look a lot more positive. 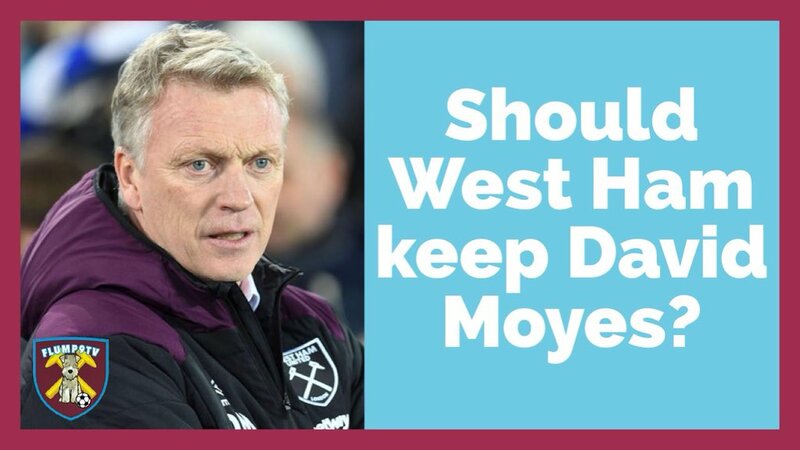 With this in mind, does David Moyes deserve to stay on next season or should West Ham be looking for someone else? In this video I discuss my thoughts on the situation and give my assessment on Moyes’ performance so far. Let me know whether you think Davis Moyes should stay or whether it is time for a change. One last thing – make sure you hit the subscribe button, as you could be winning a signed West Ham United 17/18 shirt.